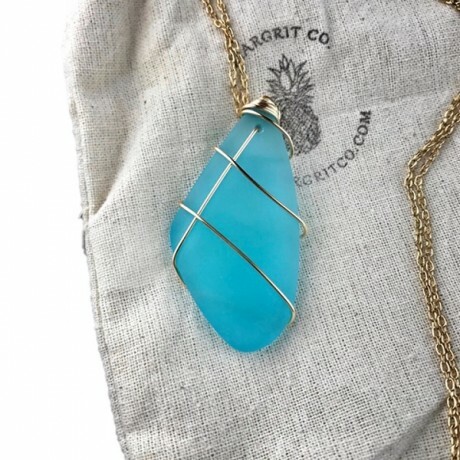 This turquoise pendant is the perfect addition to any outfit! 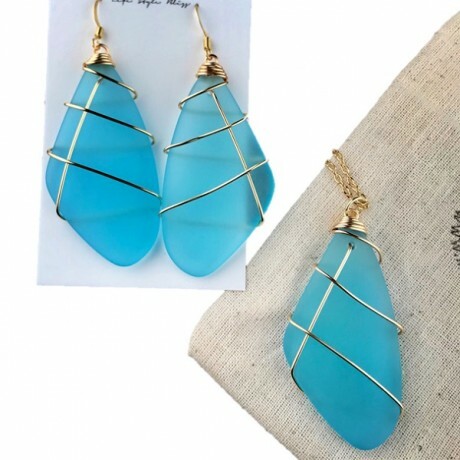 Each piece of jewelry is made from recycled glass and frosted to replicate sea glass, and all wire used is coated and nickel-free. This 2" pendant hangs from a 30" gold chain. Handmade in Lorena by Margrit Co. This necklace pairs great with the teardrop earrings.